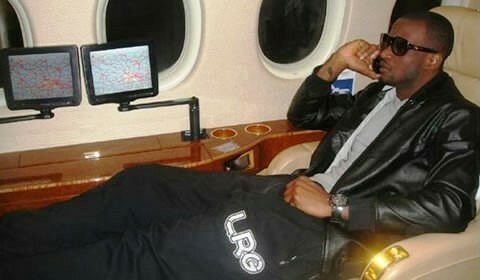 Contrary to reports that spread like wildfire few weeks ago that pop duo P Square has acquired a private jet , their publicist has disclosed that the music stars do not own a private jet . The duo's publicist Bayo Adetu while talking to Peace FM Ghana disclosed that it was not true that P-Square had acquired a private jet but rather, the group had a deal with a private jet company, who had designated one private jet to it to use when it deemed it necessary, stressing that Peter and Paul did not own it. “Concerning the private jet, I think it’s been added to P-Square’s entourage because we have a deal with a private jet company, so I mean whenever P-Square has any official show, they are entitled to travel with the private jet anytime any day”. When asked about P Square's recent collaboration with American rapper Rick Ross,he said it was a big collaboration and was part of official contract with Akon’s Konvict Music which involves both of them working together with several international artistes. He also cleared doubts that the recently signed Universal deal was only limited to South Africa and not Worldwide. In a related news the Beautiful onyinye video featuring Rick Ross has received over 1 million views on youtube since it was uploaded on june 12,2012.